Lucille’s Mountain Top Inn & Spa is ideally situated for exploring the state’s wine region and only minutes from several vineyards that are quickly gaining prominence on the east coast and national wine scenes. Wine tours of the region’s small boutique wineries are one of the most popular activities for our guests. 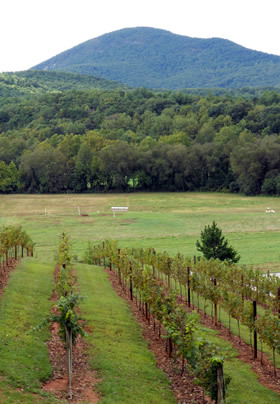 Head down Highway 17, the historic Unicoi Turnpike, and stop by the rustic and charming tasting rooms of the local wineries that line the surrounding valleys. Try a delightful Cabernet Sauvignon, with aromatics of toasted oak and currants, in the warm and inviting cabin-style tasting room of a winery in The Village of Sautee. Relax on the deck of an elegant and rustic winery looking out across the Nacoochee Valley at Mount Yonah while you sample a local Merlot. In the nearby Nacoochee Village, taste a lightly oaked Chardonnay in the open and contemporary tasting room of a vineyard, also stocked with the latest in wine gifts and accessories. Along with the standard American favorites of Chardonnay, Cabernet Sauvignon, and Merlot; many of these vineyards also showcase varietals with old world lineages like Viognier, Mourvédre, and Sangiovese. 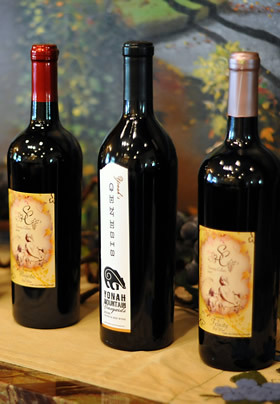 Click here to take a Video Tour of the many great wineries near Lucille’s Mountain Top Inn & Spa. Join the experts from VIP Southern Tours on a visit of some of Northeast Georgia’s finest Wineries & Tasting Rooms. Get picked up from Lucille’s Mountain Top Inn & Spa and relax as you are driven by luxury coach to four wineries and tasting rooms. 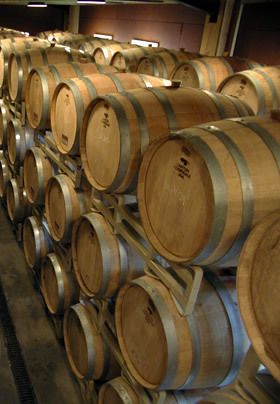 Tours are approximately 5 hours and include tastings of 15-20 wines and a gourmet lunch. Tours are Saturdays and Sundays, and are available by advance reservation only. See our interactive map to locate some of the wineries and tasting rooms in North Georgia near Lucille’s Mountain Top Inn & Spa. We only got to visit two wineries while we were staying with you, but next time we’re going to spend an extra night so we can visit even more. We love discovering new wines and can’t wait to visit Lucille’s again.